Above you see a rehearsal performance of “The Devil In Her Heart,” sung by Casey Litz with the band, Rubber Soul. This was recorded last Wednesday evening during rehearsals for this Friday’s big benefit concert. Casey, of course, is better known as the lead singer for the band, The Company Stores. Earlier today I posted video of Mel Larch singing “Lucy In The Sky With Diamonds” with the band. 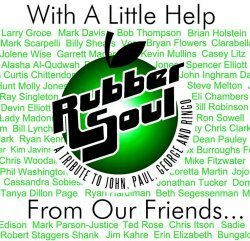 You can see it by scrolling down the main PopCult page to the next entry, to find full details of the “With A Little Help From Our Friends” benefit for Charleston, West Virginia’s Fund For The Arts. Video work is progressing slowly due to some computer issues, so check back later in the week for more clips of rehearsal performances by Casey and Mel and Erin Elizabeth.